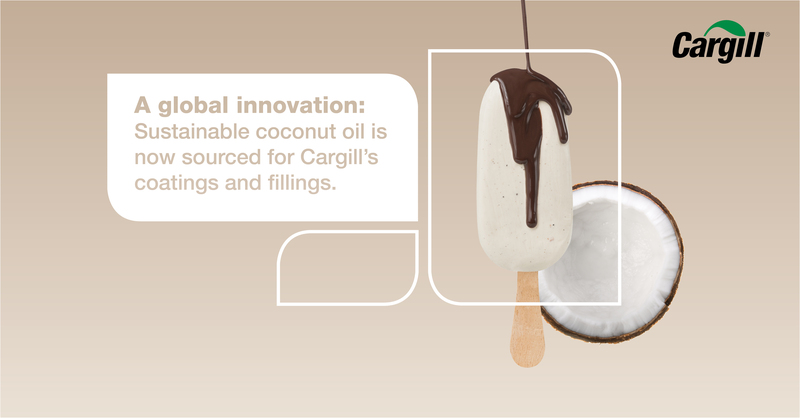 09 Apr 2019 --- Cargill’s cocoa and chocolate business claims to be the first company to use Rainforest Alliance Certified coconut oil sourced through a mass balance model as an ingredient in its coatings and fillings – responding to consumers’ growing demands for sustainably sourced ingredients. Mass balance means Cargill purchases a volume of coconut oil from Rainforest Alliance Certified farms equivalent to the volume used in these products to help protect forests and ensure sustainable livelihoods. According to the company, choosing coatings and fillings for which sustainably produced coconut oil is sourced will help improve the living standards of smallholder coconut farmers and their families in the Philippines and Indonesia. Innova Market Insights lists “Green Appeal” as its number 4 trend for 2019. “Going green is now a given but as 2020 targets draw ever closer, it is high time that actual updates are presented. Showing a company’s green colors is something that today’s ‘mindful consumer’ expects,” the market researcher notes. A 2018 Innova Market Insights survey found that 64 percent of US and UK consumers expect companies to invest in sustainability. The survey found that consumers’ environmental concerns outweigh social and ethical ones when considering the brands that they buy. "The demand for coconut products is growing faster than supply, with consumers in industrialised countries increasingly favouring sustainably sourced products. 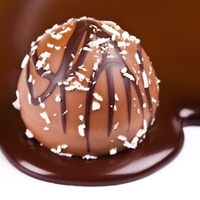 However, coconut production is restricted by a number of factors," Inge Demeyere, Managing Director of Cargill’s chocolate activities in Europe tells FoodIngredientsFirst. "Most coconut farmers are smallholders and tenants who cultivate less than four hectares of land, which impedes economies of scale. A lack of know-how and financial means can lead to poor agricultural practices and aging plantations. This in turn can cause yields to decline, along with the incomes of the smallholders." While she would not disclose a specific volume figure, "we have a roadmap in place to increase production as awareness of the product, and in turn demand, increases." Cargill says that its broad food knowledge and direct involvement in various agricultural supply chains means it is in a unique position to source coconut grown on Rainforest Alliance Certified farms that are required to meet comprehensive criteria for sustainable agriculture. Cargill’s cocoa and chocolate business is now the first to apply the Rainforest Alliance Certified mass balance program for coconut oil in coatings and fillings. “We use it to replace conventional coconut oil in the current coatings and fillings part of ice cream, bakery and confectionery applications, providing the same great sensory impression and quality as ever, while adding value to our customers’ recipes,” says Demeyere. Click to EnlargeCargill says that choosing coatings and fillings for which sustainably produced coconut oil is sourced will help improve the living standards of smallholder coconut farmers and their families in the Philippines and Indonesia.Several years ago, Cargill together with BASF, Procter & Gamble (P&G) and the Deutsche Gesellschaft für Internationale Zusammenarbeit (GIZ) GmbH joined forces in development of a partnership as part of the develoPPP.de program of the German Federal Ministry of Economic Cooperation and Development (BMZ). Working together to address the challenges facing the coconut supply chain, in 2015 the joint project reached a milestone by pioneering sustainability standards for coconut – producing among the world’s first Rainforest Alliance Certified copra, or dried coconut flesh. Results for 300 coconut producers on Rainforest Alliance Certified farms in the Philippines participating in the first wave of the project (2011-2015) have been impressive – with a 15 percent increase in their incomes. Cargill and their partners have also set further targets to train approximately 3,300 smallholder farmers and get at least 825 farmers to produce coconuts in the Philippines and Indonesia following the Rainforest Alliance Sustainable Agricultural Standard, with the aim of increasing their net incomes by 5-10 percent by the end of 2019. "At Cargill, meeting consumer expectations for more ethical products is an important focus, in addition to our efforts around sustainability and supply chain integrity. Our Cargill Cocoa Promise program is our ongoing commitment to enable farmers and their communities to achieve better incomes and living standards in a way that will accelerate progress towards a sustainable and transparent global supply chain of cocoa and chocolate," says Demeyere. "Specifically for coconut oil, we will continue to address the growing demand for ethical ingredients by working closely with farmers in the Philippines and Indonesia. The next phase of this work includes the training of approximately 3,300 smallholder farmers in Good Agricultural and Business Practices. So far around 2,500 farmers have completed this training, and the application of Good Agricultural Practices and business practices has greatly improved." "Around 1,350 farmers produce Rainforest Alliance Certified mass balance coconuts and as a result have increased their incomes. So far, more than 1,000 farmers have completed training in preparation for Rainforest Alliance certification, and over 800 smallholder farmers have secured certification and now benefit from premium prices," she further notes. “The demand from consumers for sustainably sourced ingredients is well established,” explains Demeyere. “Cargill’s cocoa and chocolate business is already a leader in implementing standards for cocoa sustainability supporting farmers and their communities through training and expertise with the Cargill Cocoa Promise – so the move to offering coatings and fillings using sustainably sourced coconut oil was a good next step,” she adds. “Ethical brand positioning is an increasingly important driver for our customers’ products and brand enhancement. By providing our customers with supply chain integrity and certified ingredients via products such as our coatings and fillings including coconut oil sourced from Rainforest Alliance Certified farms on a mass balance basis, they can position their products to appeal to the growing number of ethically aware consumers,” Demeyere concludes. Apart from the use for cooking and in food products such as chocolate and cake, coconut oil is used worldwide in the production of cosmetics and soap.